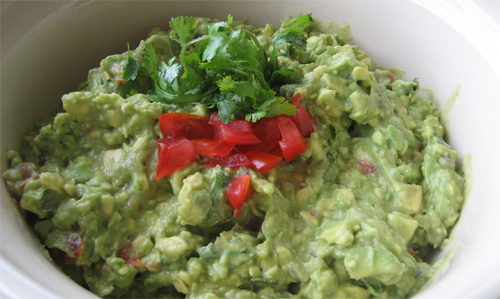 This guacamole recipe has a great citrus taste with a hint of garlic. The key to a great texture is to use avocados that are semi-ripe instead of using ones that are very ripe. This way they retain some of their texture and create guacamole with some texture, instead of making wallpaper paste. If you can find them, the addition of Campari tomatoes add sweetness without much acidity, and the tomatoes retain their texture in the mixing, making this guacamole something special (of course any tomatoes will taste great, use what you can). In the image above you will see the peaks and valleys that indicate the rough texture of the guacamole, which is achieved by using avocados of the proper ripeness, which means no more searching in vain for the softest, ripest avocados. I can often make guacamole with avocados I buy the very same day. 1. Cut the avocados in half lengthwise and remove the fruit (yes, avocado is a fruit) and place into a bowl. 2. Juice the limes and pour juice into the bowl with the avocado. Limes will juice more easily if you roll them against a flat surface first with the palm of your hand, pressing down firmly while you roll for a few seconds. 3. Dice the onion and add to the bowl. 4. Cut the tomatoes in half and remove the seeds with your fingers. Cut the tomatoes into a small dice and add to the bowl. 5. Using a garlic press, press the garlic cloves into the bowl. 6. 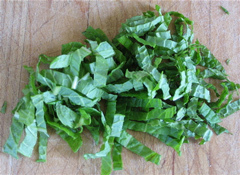 Cut the cilantro leaves into small pieces and add to the bowl. 8. To achieve a well textured guacamole, the method for the best result is to take a regular steak knife and rip through the avocado pieces continuously, cutting the halves into smaller and smaller pieces in the bowl. 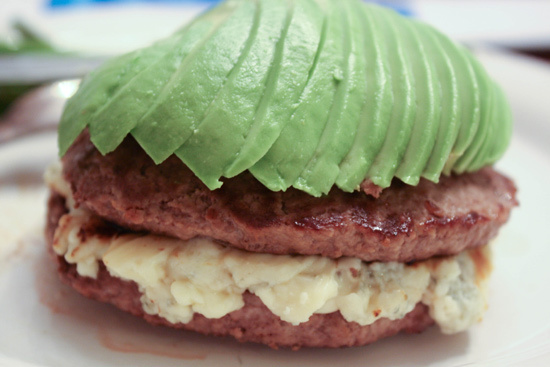 This will let you mix all the ingredients together without mashing the avocado into a paste. Use a fork to finish the mixing by folding in the rest of the ingredients. Garnish with diced tomato and a sprig of cilantro leaves if desired. Serve with tortilla chips to about 8-10 people. Tip #1 – Use semi-ripe avocados, not fully ripe ones for great texture. Over-ripe avocados can have a musty flavor that some people don’t like anyway. Tip #2 – If you can find them, Campari tomatoes will retain their shape instead of breaking down into mush. Their low acidity helps the dish retain a nice balance of taste and sweetness. 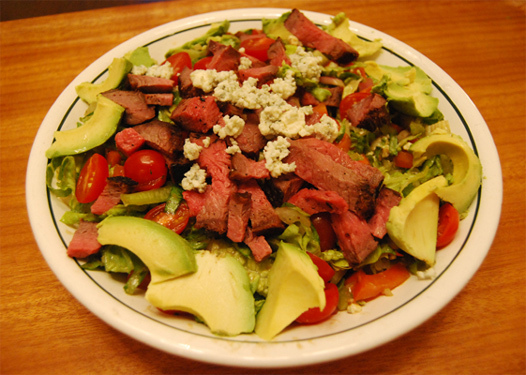 Tip #3 – Cut the avocado instead of mashing it. This will result in a nice, chunky guacamole instead of paste.